AS THE Picturehouse In Mare Street continues to build the kind of loyalty the Rio used to have, the Kingsland High Street cinema has had to look to Hackney council for financial aid. A screened announcement now thanks the council. That blow to its independence is not the end of its troubles. 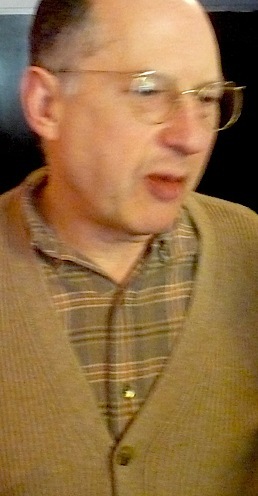 Manager of many years Charles Rubinstein left last Christmas 2014 with no reason publicly given and his replacement in the post, now termed “executive director”, Oliver Meek, talked to subscribers of “exciting” improvements for the cinema and its under-used café. But offered by Loving Dalston the chance to publicise the changes, he declined, emailing that he was busy “planning for the future”. Saving the best for the annual general meeting is understandable, although phrases such as “any potential plans” raises doubt about them. That 2014 AGM has been delayed to March 2015, which suggests a lack of respect for Rio fans. Supporters of the theatre, which built its reputation as a “community cinema”, gave it £4,000 when it appealed urgently for £50,000, as this site reported. Unfortunately for the Rio, the rival Hackney Picturehouse has been remarkably successful at building a cuddly community image, despite its now being part of a US-based multinational. The community role of the Rio has also been criticised. Teacher Lola Okolosie wrote in The Voice that when she asked the Rio why it was not showing Selma, the story of the Martin Luther King-led voting-rights march in Alabama 50 years ago, her email went unanswered. Only after she took to social media to shame the cinema into replying did she receive a response, but it was “shocking and woefully inadequate”. The failure to screen Selma was, Okolosie claimed, an example of how black cultural life was slowly “being erased” in Dalston. In the Rio’s defence, it can be said that film distributors can make programming for a single-screen cinema difficult. A big distributor can press small cinemas to screen blockbusters they would not want, leaving no time for films that they would want. Rio director Patrick Lyons said in his announcement of the AGM that the Rio was a “community resource”. His letter to members made no mention of plans, exciting or otherwise, and called for the re-election of himself and two other directors.